Professional Estate Administration Attorney - Lawyer, providing experienced Estate Administration legal services in Lakeland, Winter Haven, Bartow, and Polk County Florida. Joseph A. Morrison, an experienced estate administration attorney & lawyer, assists Lakeland, Winter Haven, Bartow, and Polk County Florida residents with legal issues and disputes regarding estate administration and estate law matters. We are committed to providing each of our estate administration clients with the highest standard of legal representation while using every available resource to protect your legal rights, options, and interests. Contact The Law Office of Joseph A. Morrison to schedule a confidential legal consultation. Once the estate has cleared the probate or probate litigation process, the administration of an estate is legally allowed to be carried out according to your wishes, and any court ordered modifications which may have been ordered in probate court. Estate administration may go beyond simply distributing the property and assets of your estate. There may be parts of the estate which have been set to specific requirements, milestones, or other specifications. In some cases, the deceased may have identified someone they trust, typically a family member, to carry out the future implementation and administration of the estate, or they may choose to have their attorney carry out these duties and responsibilities. We urge you to be proactive when it comes to your legal rights by seeking the legal advice and representation of an experienced estate administration attorney or lawyer as soon as possible. 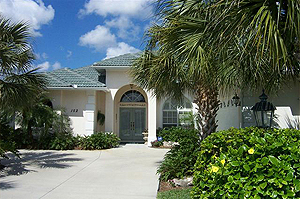 If you are dealing with estate administration legal issues or disputes in Lakeland, Winter Haven, Bartow, and the Polk County Florida area, make sure your legal rights are protected by seeking the legal advice of an experienced Lakeland estate administration attorney & lawyer by contacting Contact The Law Office of Joseph A. Morrison.